Here at COT CAT we believe that the continuous training of our team is the basis for providing a high-quality care process. 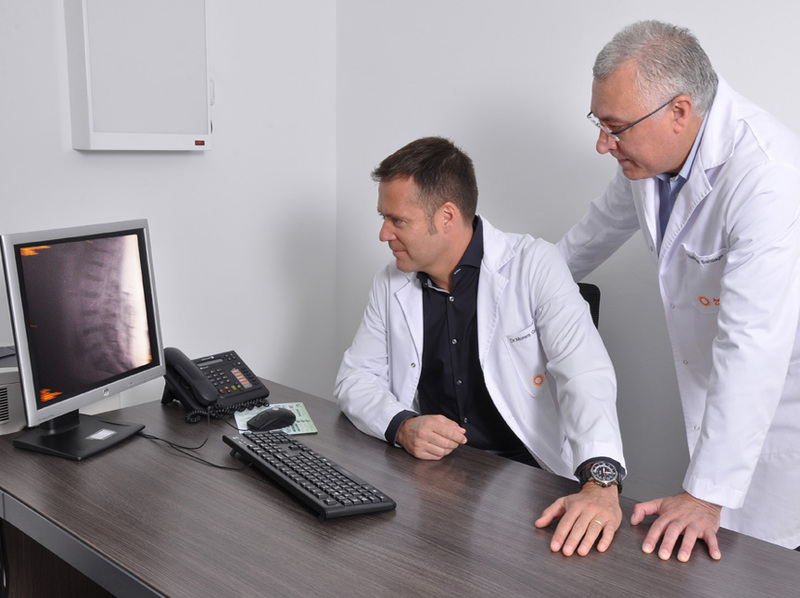 Given the significant scientific and technological advance in medicine, we promote the sub-specialisation of professionals in an environment of maximum cooperation in order to provide a suitable response to patients’ needs. Time: time to listen, understand, reflect, consult and provide emotional support. Medical decisions improve when doctors invest in time and conscious attention. It allows us to take an OODA (Observe, Orient, Decide and Act) approach, which has been shown to have very good results in any decision-making process. Personal, individual: fair, personalised treatment and suitable personalised care, rather than generalised care. Each patient is complex and their point of view is important. Independence and performance: sharing the decision-making process, patient values, expectations and preferences is of key importance. This involves a link between the care programme and the patient’s environment: family, community, friends, etc. Positive health: the concept of positive health is based on the capacity to recover and the performance. Placing the emphasis on health rather than the disease improves the approach to healthcare and disease prevention. Prevention: a healthy and calm diet is the basic medicine for a healthy lifestyle. Staying in good physical shape with suitable exercise is also important. Positive thinking can (re)programme our brain to live a healthy life. Quality of life: doing more is not always the best option. Quality should be placed above quantity, and the inevitable must be accepted. Doing nothing can also be a therapeutic attitude. Integrative medicine: the best of both worlds. Conventional academic medicine is necessary. Alternative medicine is an option, preferably if evidence-based. Safety must be placed above efficacy. There must always be an appropriate risk-benefit ratio. Safety first: not causing harm. Hippocratic oath: primum non nocere and in dubio abstine. Passion and compassion: medical care must redefine the concepts of passion and compassion. Care which is overly standardised and impersonal can change the concept of healthcare. Technology for the people: high technology must serve the people, and not the other way around. New technologies must be designed to collaborate with medicine in improving people’s quality of life. Our involvement in training has led us to develop numerous research projects and to actively participate in teaching and medical dissemination. Here at COT CAT, , we work to offer an efficient, excellent service, with the highest level of respect and awareness for justice and equality, and we are also committed to social responsibility. We look towards the future from where we are now, with the highest level of interest in development, scientific advances, new technologies and new therapeutic alternatives. We strive to obtain a suitable balance between innovation and experience, and we place evidence above all else. We are an organisation dedicated to healthcare, prevention, and promotion of health, research and teaching, in relation to orthopaedic surgery and traumatology, and sports medicine. We are a private healthcare organisation, with the highest level of respect and awareness for justice and equality, and we are also committed to social responsibility. Our activity is aimed at offering an efficient, excellent service. Our continuous training, work methodology, organisation and management allow us to meet our customers’ needs with a high level of satisfaction. Our aim is to be a healthcare organisation that prioritises continuous training, research, teaching and healthcare throughout the whole process, both in prevention, diagnosis and treatment and in convalescence. We are a multicentre group with high-quality services which facilitate excellent technical and professional development. Our activity is part of an environment of multidisciplinary relationships and close relationships with other organisations, both from the healthcare area and from teaching and research. We strive to be a private company offering modern healthcare services, with a high degree of organisational flexibility and advanced technology and management systems, providing competitive services in terms of quality and price, and with a high level of customer satisfaction. Trust, respect, commitment, innovation and experience.